When I was a pre-teen, I was a member of Danville Junior Horsemen’s Association. DJHA was a local club similar to Pony Club, but much more casual. We had monthly lectures from guest speakers that were given to us in the local ballet studio. 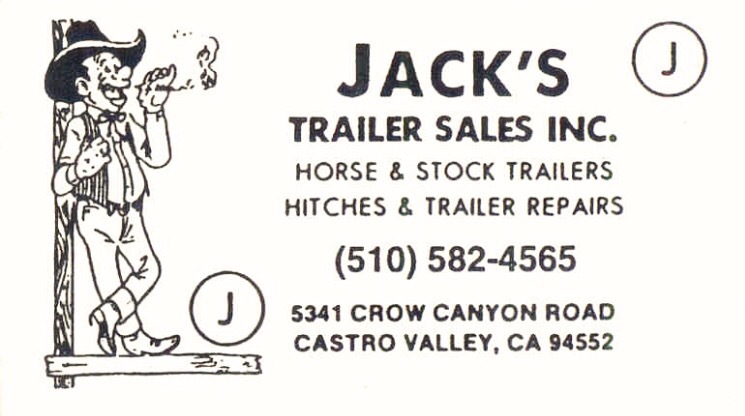 One lecture that has stayed with me was given by our local trailer dealer, an old cowboy by the name of Jack. To help you remember him, he had a caricature of himself printed on his business card. 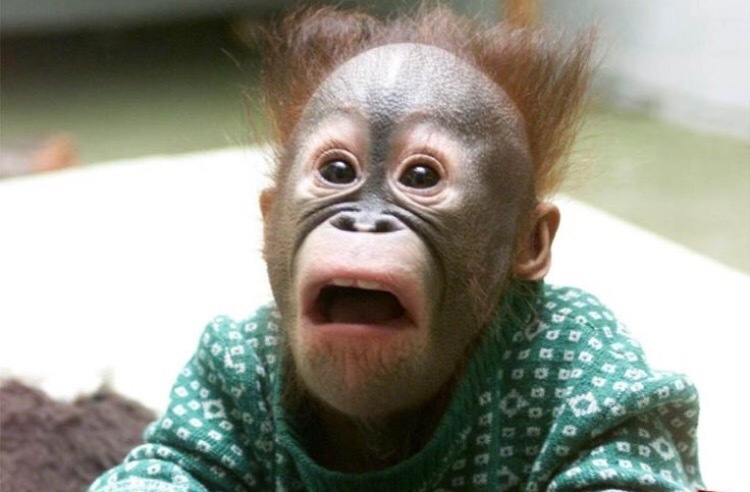 There were not any orangutans at the meeting, but this is the face all us kids were making after Jack used both profanity and talked about shooting horses. In hindsight, I’m not sure if the police are as trigger happy to shoot loose horses as Jack led us to believe. In fact, just last week a horse and a mule were running loose on the highway just up the road from Danville, and they didn’t get shot. Read the news story here. Maybe things were different 25 years ago. Another thing I recall Jack saying is to make sure you trailer your horse in a leather halter and use a cotton hay net. You can cut your horse free if he gets hung up in those materials. To that end, you should always have a knife when you haul in case you need to do some cutting free. Yesterday, In the dark hours of the morning, Jack’s words came back to me. After getting in my trailer to go to a show, our beloved mustang put his foot through the corner hay bag in my trailer. River got his foot stuck up there, in the goddamn manger, and was standing on three legs. Now I’ve done a lot of work with River and ropes around his feet, so he didn’t panic. In fact, I almost didn’t notice that he had hung himself up. I couldn’t find my knife, but was quickly able to borrow one and cut river free. This event also got me thinking about wearing a knife myself. I used to ask my friend, Brandon, if he had his knife. He would always answer, “I’m wearing my pants, aren’t I?” Brandon has since moved away, but I shouldn’t have been so reliant on him to have a knife at the ready. I’m a strong(ish) independent woman. I should wear my own knife. In fact, I should start wearing my knife every day that I’m with horses. Those suckers are good at getting themselves in to trouble, and humans are good at putting horses in situations where they can find trouble. Women of the horse world, let’s do our horses a favor and start wearing our knives! At least when we are hauling our horses. I like this knife. About the author: Ali Kermeen started with horses at nine years old and has been a professional for the last sixteen years. Ali is always looking for ways to teach the horsemanship and the leadership she was given through Danville Junior Horsemen. 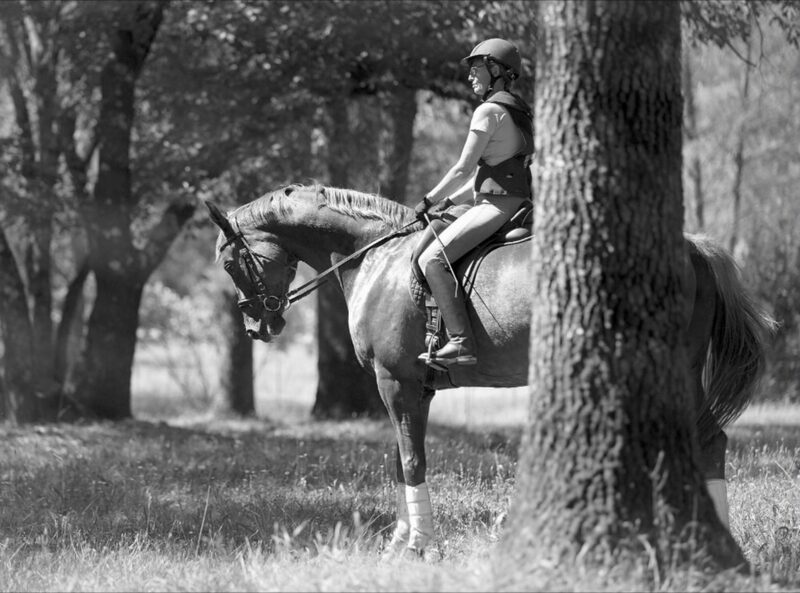 Her training business is located in the hills east of the Silicon Valley, and she teaches clinics in dressage, cowboy dressage, and horsemanship throughout the region.